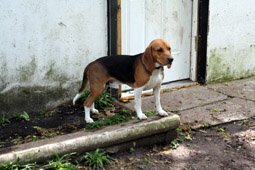 Beagles were bred to hunt rabbits. Bruiser hasn't gotten that chance yet. Is that a rabbit I see?? ?